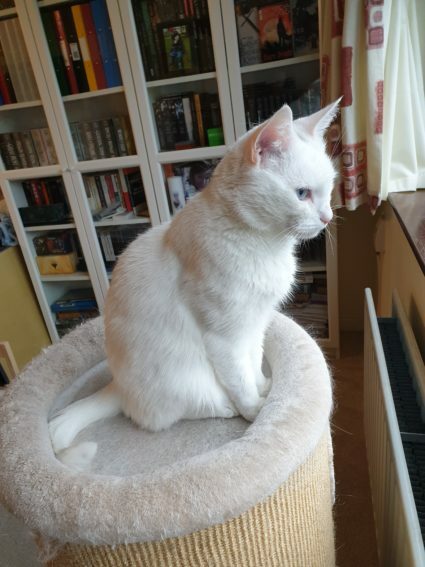 Nyx is an 8 year old white cat. 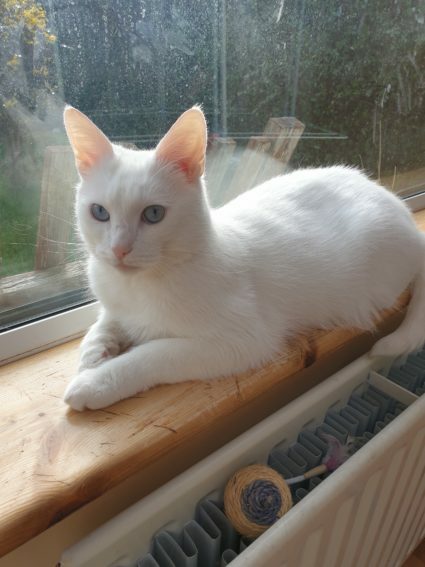 Like many white cats he is deaf, so needs an indoor home. He isn’t used to other animals. He has been neutered and is vaccinated. Nyx enjoys having his own space to sleep and chill out. He is low maintenance and affectionate, but he can be stubborn at times and is liable to react if he is not in the mood for pets. For this reason, a child-free home with a patient owner will be ideal. 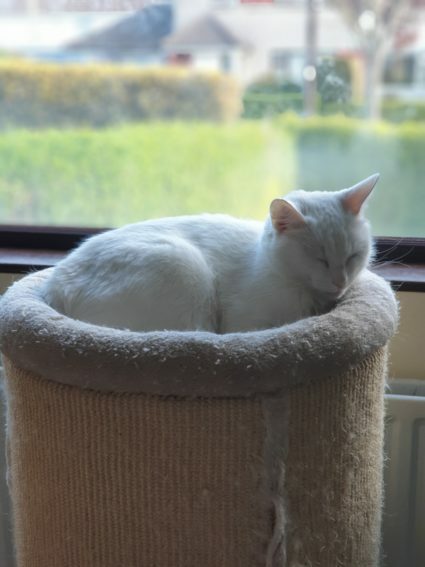 Nyx may take some time to adjust to a new setting, but once he does he will happily sleep most of the day and enjoy curling up on a lap in the evening. He is a cat who needs a bit of time and patience, but he gives a great reward as he can be incredibly affectionate. If you can offer this handsome cat a home please call Sean on 085 1555484.